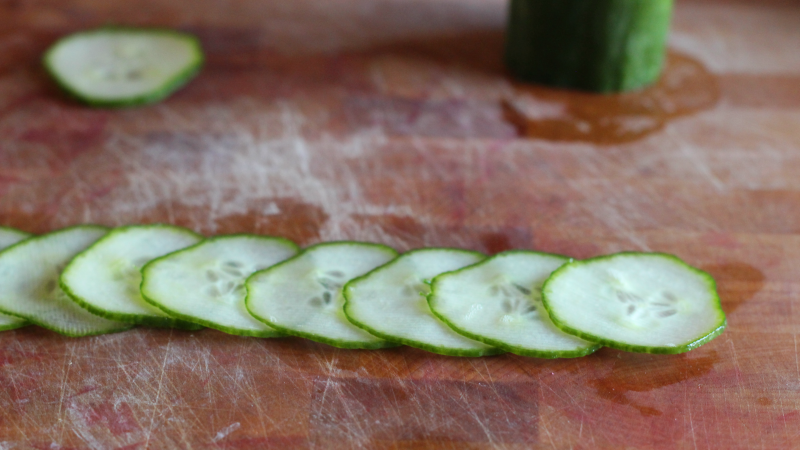 Thanks to certain food competition shows, garnishes have become a little gauche. "Am I supposed to eat this?" a pasta mogul sneers at a Brooklyn line cook, contempt dripping from his handsome mouth. 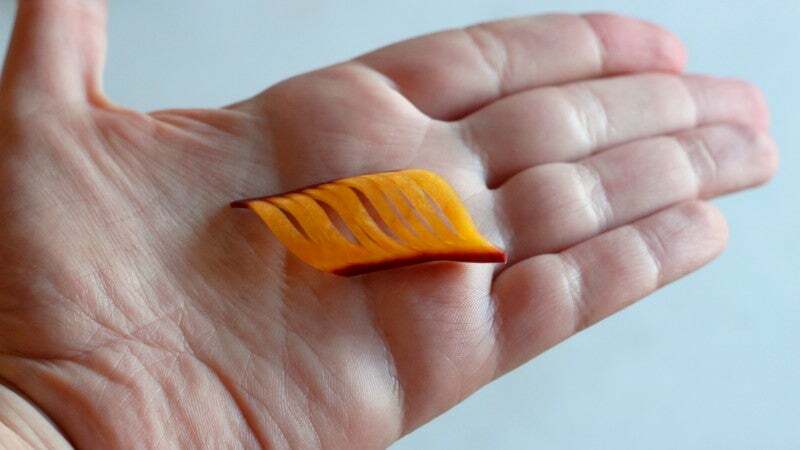 I get their point, but it makes me kind of sad, as fancy little pieces of carved vegetables will never fail to delight me. 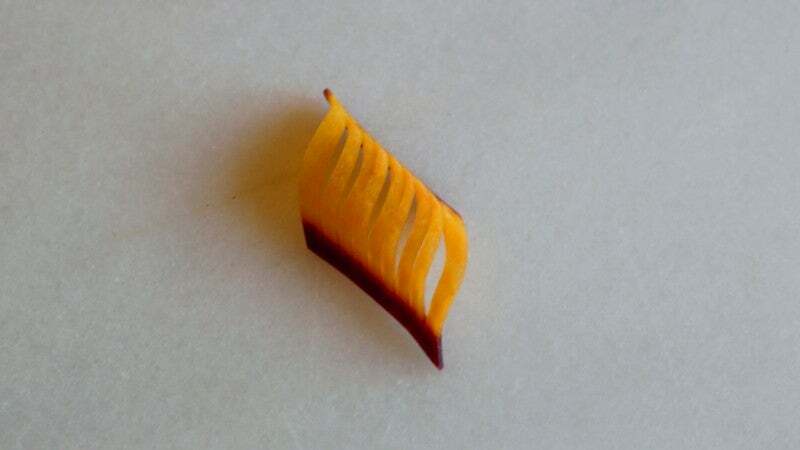 We do, after all, eat with our eyes first, and a whimsical little carrot butterfly — or, dare I say, banana dolphin? — never hurt anyone. Plus, have you seen vegetables? Some of them are kind of ugly. I mean, look at these guys. Just a couple of phallic Philips. 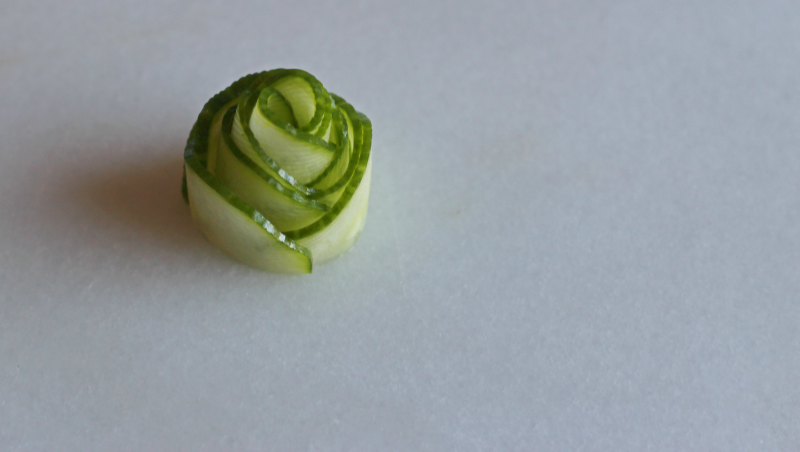 Vegetable carving is, however, kind of a pain. 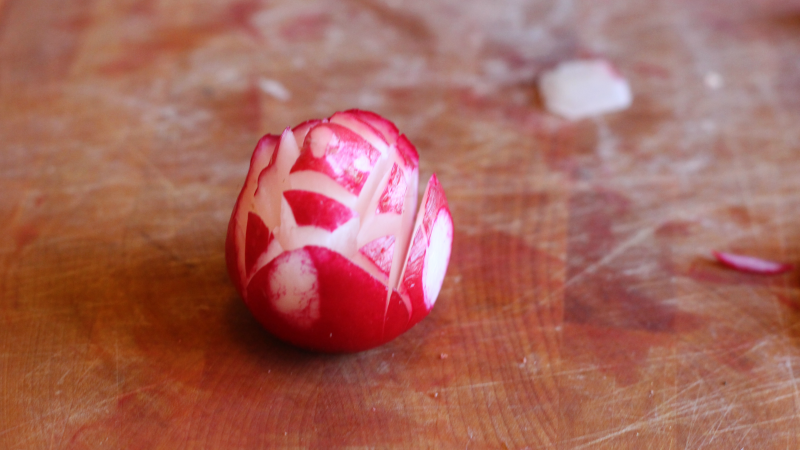 I love a radish rose, but every time I try to make one, it is death (to the poor radish) by a thousand cuts. 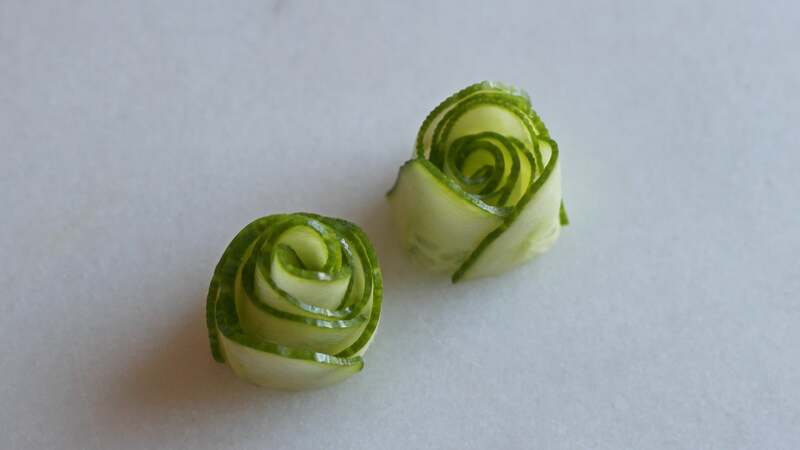 Luckily, I have found two charming little garnishes that pretty much anyone can make, whether they have the skills of a vegetable carving artist or not. 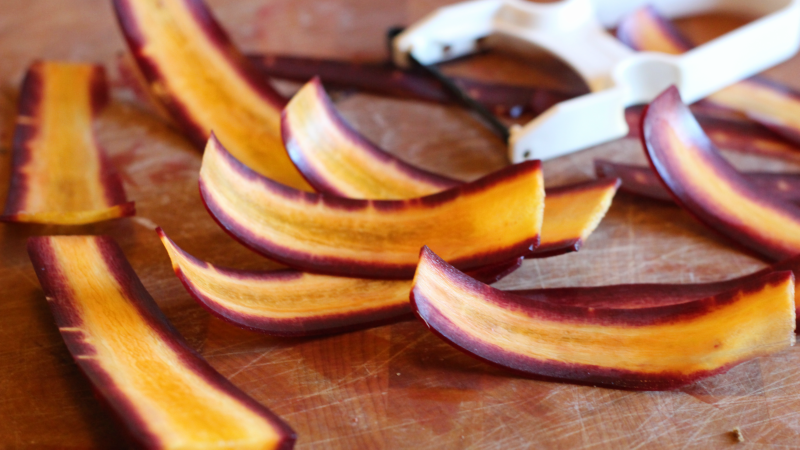 Lay them all out in a straight row, with each slice overlapping its predecessor by about half. 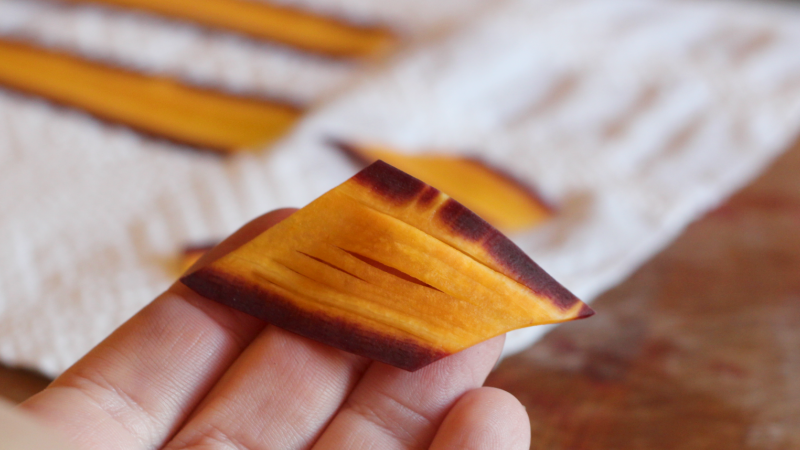 Then, keeping a tight grip on them, roll them up until you have a neat little package of slices. This will seem a little challenging at first, but just keep rolling and pinching. Slice your bundle in half, and gaze upon your marvellous flowers. No two flowers are alike. Place them around any plate that would benefit from a touch of charming whimsy, especially salads that need some perking up. OK. 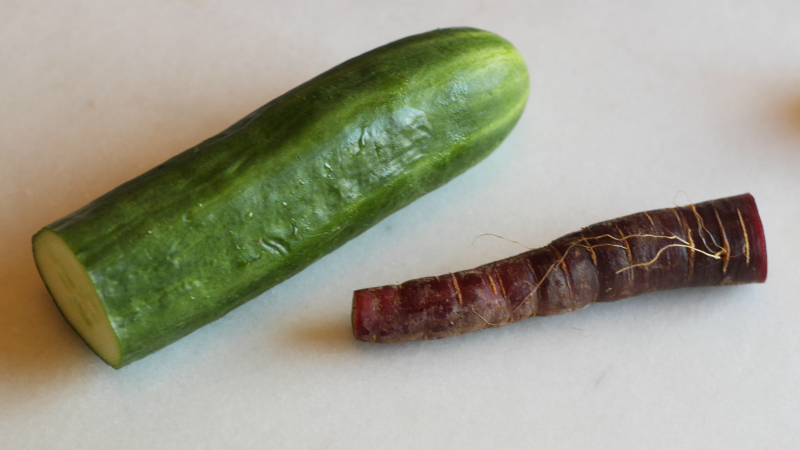 I'll admit that some carrots — especially rainbow carrots — are already kind of stunning on their own, but would you look at that little wavy, leaf-looking thing? I'm not entirely sure what he's supposed to be, but I know I enjoy gazing upon him. I also enjoy how easy he is to make. 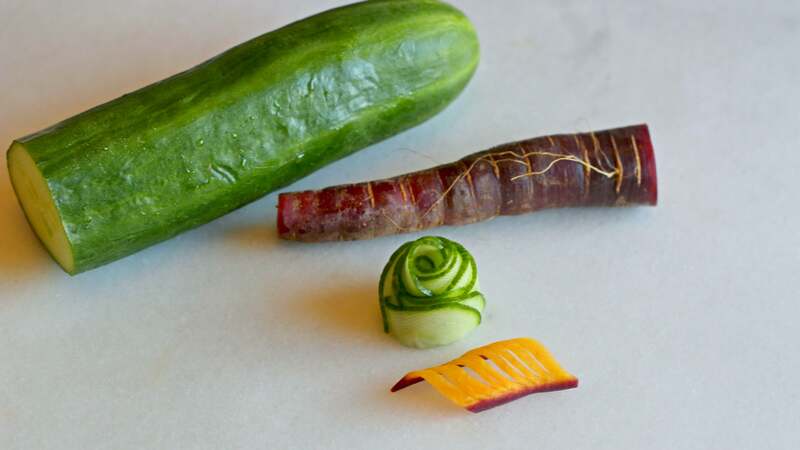 Using your vegetable peeler, make some ribbons out of the widest part of the carrot. 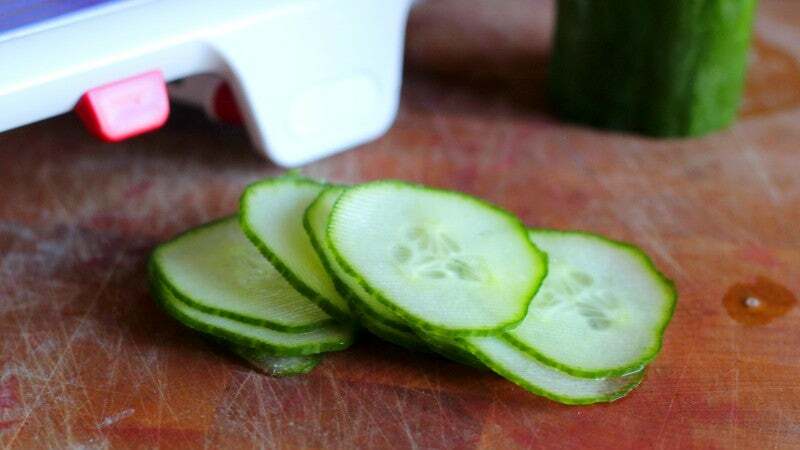 Let those slices soak in warm, salty water for five minutes, then dry them off and lay one flat on a cutting board. Making two slanted slices, cut a parallelogram-type shape out of the ribbon, then make little slits in the inside, running perpendicular to the slanted cuts you just made. 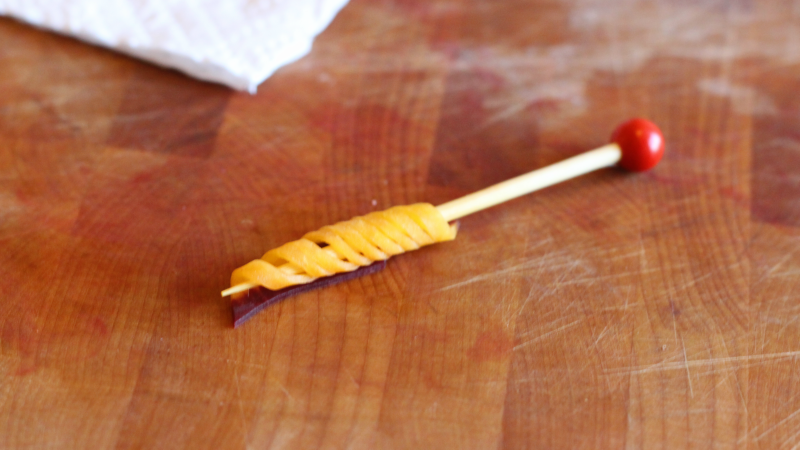 Wrap the carrot slice around a toothpick, and let it hang out for half a minute or so. 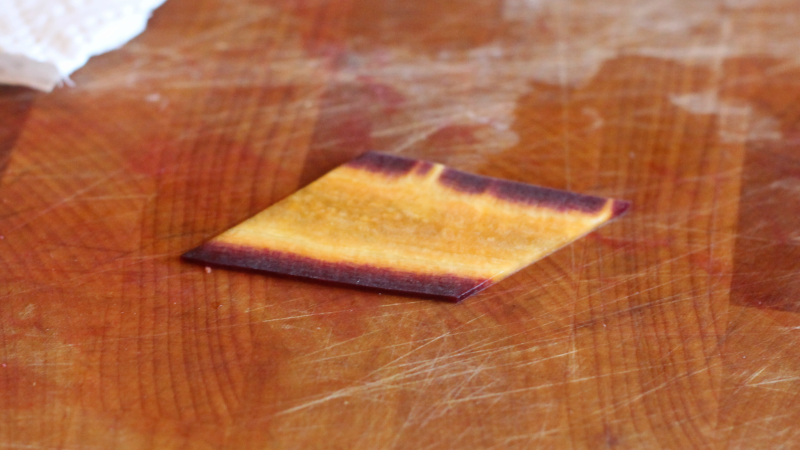 Unroll your fancy carrot creation, fanning out the slits a bit, and place on a very lucky plate. Alternatively, you could just hand this to someone as a very pretty (though strange) token of affection.